Christoff Gillen has worked in performance, installation and time based art for the past 20 years. He studied sculpture at the University of Ulster, Belfast graduating with a BA (Honours) in 1998 and following this he undertook a MA in ‘Art & Public’ University of Ulster, Belfast in 2009. 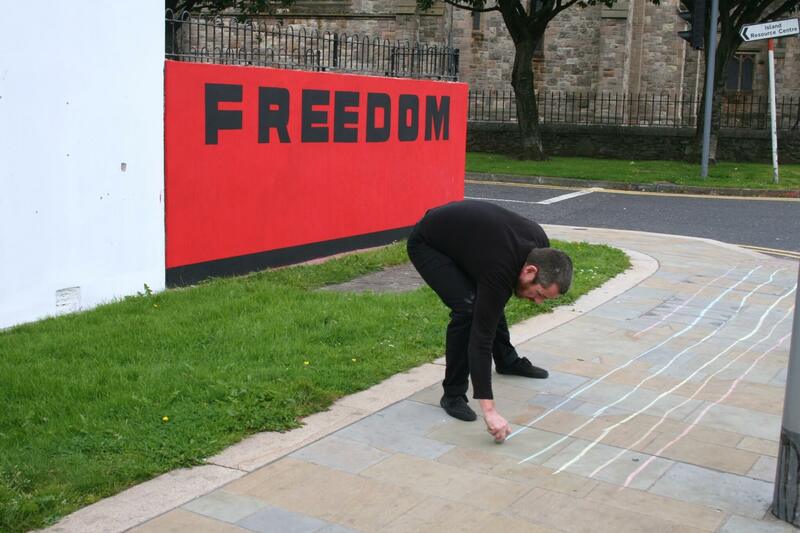 Gillen is active within the performance and visual arts community in Belfast since 1994, he is a member of the performance collective Bbeyond and a member of Queen Street Studios, Belfast. Recent work has been presented at Livestock,2016 Dublin BIFPA2015, Belfast, PAB Open 2015, Bergen, Norway, Bel-Esse Exchange 2014 in Essen, Cologne, Brussels, Lisburn and Derry, Bel-Mad Exchange Places 2014, Catalyst Arts Gallery, Belfast; IMAF 2013 Serbia; TransArt Cavan Town, Ireland; Duo Days 2013, Catalyst Arts Gallery, Belfast; Rain 2012, PS2 Project Space, Belfast; Tick Tock 2011; Art Rebels 2010, Catalyst Arts Gallery, Belfast; Imagine a city of =, Black mountain, Belfast 2009, Golden Thread Gallery, Belfast 2009; I AM 2008 Polish/Irish performance art exchange, Belfast; Art Trail 2007 Cork, Ireland.